SCROLL TO SEE ALL OF THE SCHOOL COUNSELING DEPARTMENT! Mrs. Smith was born in Massachusetts but moved to Inverness when she was just 2 weeks old! She has a B.A. in Psychology and a M.A. in Counseling Psychology – both from Saint Leo University. Mrs. Smith has been a Certified School Counselor at D.S. Parrott Middle School for 7 years and is also the School Counseling Department Head. Prior to joining us at Parrott she worked at Eckerd Youth Alternatives as a Group Treatment Coordinator and Program Clinician as well as Cypress Creek (a level 8/10 juvenile male residential facility) as a master's level mental health therapist. At Parrott, you can find Mrs. Smith in her office helping students with academic achievement, personal/social development and career development - individually as well as in groups. She also schedules/facilitates many parent-teacher conferences, MTSS meetings, crisis counseling sessions, etc. Some fun facts about Mrs. Smith are that she can’t do cartwheels or whistle but she loves the family-like atmosphere that comes with being a leopard. Parents: Please feel free to contact me if you would like to schedule a Parent-Teacher Conference! Students: Please feel free to come see me if you are unsure if you need to complete grade repair/course recovery! You MUST have all necessary credits to go to high school! See below for this year's Red Ribbon Week activities. Red Ribbon Week will be held from October 22 - 26, 2018. The theme is: "Life Is Your Journey! Travel Drug-Free!" MONDAY (10/22/18): “RED”Y to Live a Drug-Free Life!” day - All students, staff and teachers are encouraged to wear red and will be provided with a Red Ribbon to wear. TUESDAY (10/23/18): "I’m too Bright for Drugs!" day - All students, staff and teachers are encouraged to wear sunglasses and neon in order to ‘shade’ out drugs! WEDNESDAY (10/24/18): "United We Stand against Bullying and Drugs!” day - All students, staff and teachers are encouraged to wear orange. THURSDAY (10/25/18): "Hats Off to being Drug Free!” day - All students, staff and teachers are encouraged to wear a silly hat in order to put a ‘cap’ on drugs! FRIDAY (10/26/18): “Team Up against Drugs!” day – All students, staff and teachers are encouraged to "team up against drugs" by wearing their favorite sports team shirt or jersey! Students wearing a jersey must wear a shirt underneath! NOTE: Students MUST be in school dress code ALL week as they are NOT dress down days. Stay tuned for this year's Acts of Kindness (AOK) Week activities. Mrs. Panetta has worked in education for more than 33 year: 11.5 years in New Jersey, eight years at Springstead High School, one year at Moton Elementary, and 13 years at Parrott! She holds teaching degrees in Business Accounting & Typing, Special Education, and Guidance and is a Certified School Guidance Counselor- a Skilled Helper. Her other degrees include Business Education from Montclair State University in New Jersey, Certification in Special Education from University of South Florida, and Masters in Guidance and Coundeling from Troy State University. Mrs. Panetta is originally from Dover, New Jersey and owned and operated a books and stationary store as well as a pizza restaurant. While in school herself, she worked for Picatinny Arsenel and the A&P Grocery store. She likes everything about Parrott! Most often you can find her everywhere on campus helping students in any way she can. One fun fact about Mrs. Panetta is that she is part of a Working Dog Club, which she participates in with her German Shepard "Paddy". ​Mrs. Busacca, Certified School Counseling Secretary, ext. 408, fax 352-797-7053, busacca_l@hcsb.k12.fl.us. Also originally from Long Island, N.Y., Mrs. Busacca has made Hernando County her home. She has been working in the HCSD for the last 19 years - seven at Brooksville Elementary and 12 at Parrott. 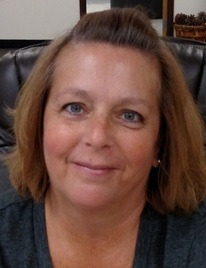 Mrs. Busacca has served in many roles, including substitute, paraprofessional and receptionist, but her primary function is as Guidance Secretary / Registrar. She also assists with scheduling truancy meetings, gathering information from teachers as to how the students are doing in class, and getting paperwork ready for the guidance counselors for truancy meetings with the school social worker and parents. One fun fact about Mrs. Busacca is that she likes to hunt and fish. Parents should contact Mrs. Busacca to enroll or ﻿withdraw students and to obtain student records.